There are an estimated 28,000 journals publishing over 1.8 million articles per year. These journals are published by professional associations, universities, research organizations, and other academic institutions. Some journals are wide in scope (Nature) while others are very specialized, publishing work in a very narrow subfield (Infection Control and Hospital Epidemiology). Their titles may include the term “journal,” but also “proceedings”, “quarterly,” “annals” and other similar periodical descriptions. Most journals charge a subscription fee or are included as a benefit of membership to a professional organization. The important aspect to consider is the reputation of the journal. One way to evaluate a journal’s reputation is through its impact factor, a measure of how often articles from a journal are cited in other articles over the past two years. 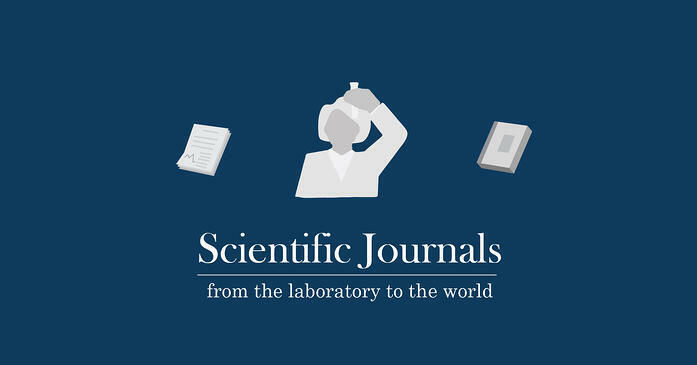 For example, a journal with a high reputation would have a high impact factor, meaning that it publishes research that is so important and relevant that it is cited over and over again by scientists publishing in every other journal. (Citations, when research is directly referenced in scientific paper, are evidence that the cited work is the accepted basis for understanding a topic. That article will be cited until a better study is published, and even in that case, will most likely continue to be cited for a very long time. For example, the #1 most cited scientific paper, with 305,148 citations, is a paper about protein measurement published in 1951. To put this in context, over half of all published scientific work has only been cited either once or never.) There are other measures of a journal’s reputation, but impact factor is the most popular. There are also many formats for publication in a scientific journal, from short letters to describe urgent findings to full-length articles. Depending on the nature of the work being done, the scientist will select the correct format and the correct journal. Each journal will have its own selection process, but the most respected journals will adhere to a standard of peer review. This means that the editors of the journal send submitted articles to select reviewers to read and edit. These reviewers make sure that the data, the research design, the analysis of the research and the context of the established literature all make solid logical sense and follow the rules of the scientific community. Only after the peer review process is complete can an article be published. The entire process from writing to publication can take a very long time, even more than a year in some cases. Because the top journals are very competitive, publishing as few as 6% of submissions, the researchers may also find themselves starting the process all over again if a submission is not accepted (they can only submit to one journal at a time). What is the result of this laborious process? The confidence shared by the scientific community that the results they are reading have been reviewed for scientific quality: They can trust what they are reading. That being said, ermerging technologies are introducing other ways of publishing and sharing results. There are some pay-to-publish models, such as online and open access PLOS ONE journals, which are peer-reviewed but charge the author to publish rather than the reader. Researchers can also present at conferences, either in a session or through a poster presentation. Research conducted by a company or for-profit entity may release a white paper, a marketing publication that may include data and statistics but is not a scientific document. However, the gold standard of scientific research is publication in an academic journal. Our next post will explore the parts of a scientific journal article and how they help support the scientific method.